A party is a person or group of persons that make up a single entity for the purposes of the law. They are a participant in legal proceeding and have an interest in the outcome. Parties include: the plaintiff, the defendant, a petitioner or a respondent. They can also be a cross-complainant (a defendant who sues someone else in the same lawsuit) or a cross-defendant (a person sued by a cross-complainant). A person who only appears in the case as a witness is not considered a party. 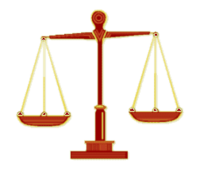 Courts use various terms to identify the role of a particular party in civil litigation. They usually call the party that brings a lawsuit as the plaintiff, or, in older American cases, the party of the first part. The party against whom the case was brought as the defendant, or, in older American cases, the party of the second part. ↑ 1.0 1.1 "party". Law.com. Retrieved 18 November 2015. ↑ "Party - legal definition". This page was last changed on 18 November 2015, at 23:00.